A perfect minimalist accent to wear alone or layered with other pieces. 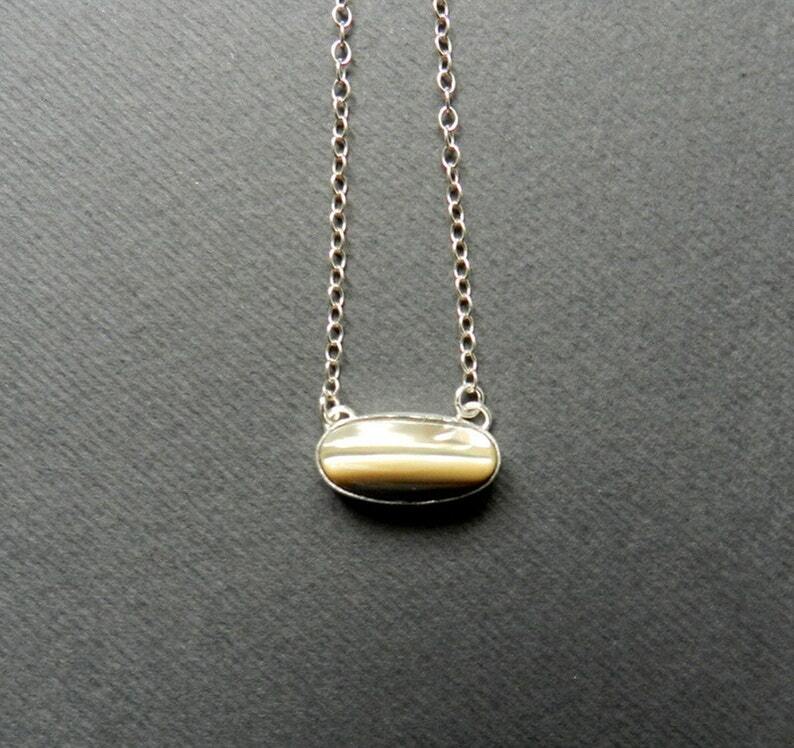 This small abalone shell pendant has a lovely cream color with a brown band. It has a beautiful luster, approximately 14mmx8mm, and hangs on a 17" sterling chain.